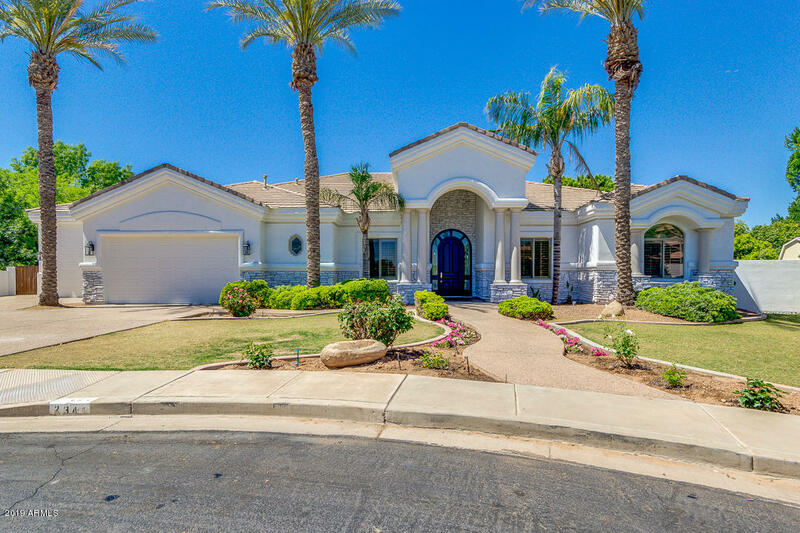 All HERMOSA VISTAS homes currently listed for sale in Mesa as of 04/20/2019 are shown below. You can change the search criteria at any time by pressing the 'Change Search' button below. "Absolutely Stunning 5 bed 3 bath CUSTOM built home in cut-de-sac. NO HOA. This home has been completely remodeled and updated with current design details. Nothing but the best! Grand entry leads to the formal front room with large windows and high cathedral ceilings. Formal dining room, gourmet kitchen with large island, quartz countertops, tile backsplash, farm sink with beautiful gold faucets. Beautiful details at every turn! High end stainless appliances. Gas range top. Built in Fridge and fr"